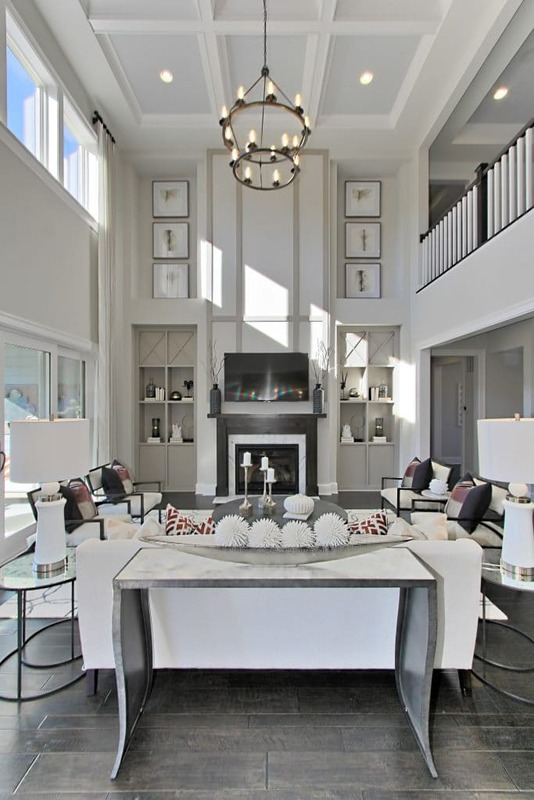 For Senior Designer Allison Worley, designing the luxury model home of Glenbury Estates by CalAtlantic in Washington D.C. had to bring a sense of the surrounding community with a new vision of elegance. Worley was inspired by ‘organic rustic meets refined luxury’ style and incorporated a moody color pallet of navy blue and soft gray to balance the rich wood tones and neutral trim and cabinetry. Worley wanted to wow the potential buyers with distinct memory points in each space while giving off an organic sense of refined sophistication. 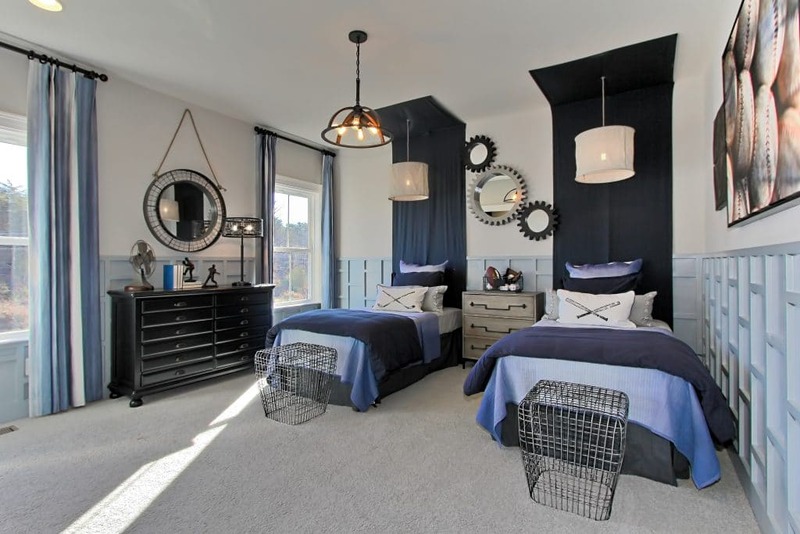 By choosing unique focal points like raw-edge floating wood shelves, to hanging antique doors, to a two-story family room, and unique children’s spaces, she was able to lead the buyers to want to see what was next and gave each room a distinct identity the buyers’ could relate to. To build upon the sense of community, Worley incorporated a multi-generational suite in the finished terrace level; while features like a movie room and pool table, a wine cellar, and full kitchen allow the whole family to enjoy entertaining family and friends. The luxury decor incorporates the feeling of leaving city life behind and welcomes buyers with expansive ten-foot ceilings leading the eye to ornate trim details that give them the feeling of tranquil privacy and distinctive elegance. 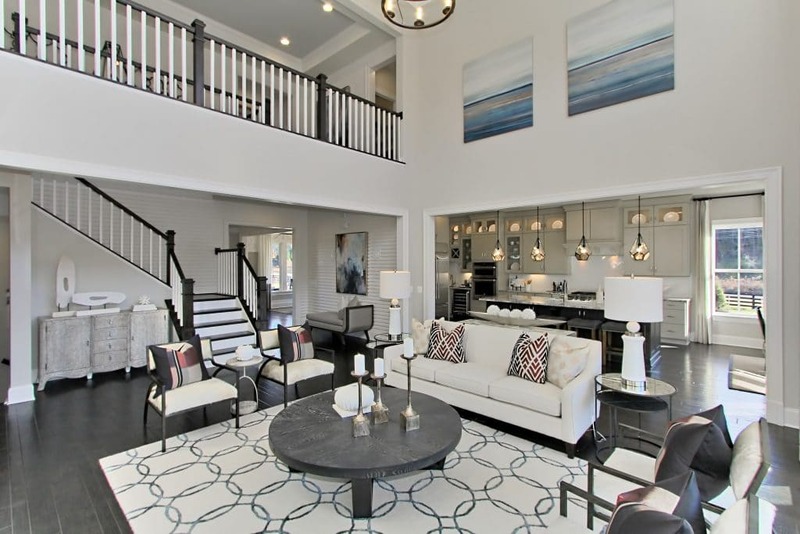 Worley wanted to ensure no space went unnoticed – from the custom trim and lighting features, to the bold accent walls and large artwork, to the owner’s suite oasis and an expansive outdoor dining and covered lanai space – this new model home makes modern luxury style comfortable and livable.